New excursion to the "Precious Metal of Urals"
Dear participants of the Norilsk field trip, your samples have arrived safely to 12 IPS Organizers today (05.09.2014). We'll need some time for arranging of customs permission and sending these samples to you. Thank you! Registration for Workshop starts 9 August at 7-30 in the Ural Federal University, Lenin Avenue, 51. The lectures will be at auditorium 248, the second floor. Participants of the Norilsk excursion, please be responsible for booking of the flight tickets to Norilsk and from Norilsk to Yekaterinburg. You have to be in Norilsk at the beginning of field trip in the morning 31 August 2014. Please follow an explanation and instruction in the Field trip Flyer on the 12 IPS website. Dear participants, the possibility to choose and book an accommodation at the special price at the “Park Inn” Hotel, “Marins Park” Hotel and “Academic Hotel” of Yekaterinburg is now open. Please, see the chapter "Accommodation" on the Symposium website and follow the recommendations. The accommodation for all participants of the Norilsk excursion will be booked by organizers at the “Central” Hotel (“Tsentralny” Hotel). The list of the Norilsk excursion participants is published in chapter “Field trips”. Dear participants of the 12 IPS, we have to inform you that organizers have not got requests on participating in the Field trip ? 4 “Geology, Structure and Composition of the Unique VMS Deposits in the Southern Urals” up to now. So we have to announce that we close this excursion. We are very grateful to Victor Puchkov - director of Institute of Geology in Ufa and to Sergey Znamensky - leader of the field trip ? 4 for their efforts for organizing of this excursion. Dear participants of 12 IPS, thank you to everybody who took part actively in the organization of the group for the Noril'sk excursion. The Noril'sk excursion group is completely full now. Thank you! Attention to 12 IPS participants! Please take into your consideration the pre-conference field trip excursion to the economic platinum deposit at Kondyor (Russian Far East) that will be held during August 1-8, 2014. It might be your best choice to visit the unique platinum placer deposit so far. The excursion will be focusing on both placer deposits and their parent sources represented by various predominantly ultramafic rocks of the Kondyor clinopyroxenite-dunite massif. A short summary is available as a pdf flyer at http://12ips.uran.ru. For any questions regarding this excursion please contact the organizers Vladimir S. Prihod’ko (email: vladimir@itig.as.khb.ru) and Alexander Mochalov (email: mag1950@mail.ru). Please do not miss this rare opportunity to visit a world-class platinum deposit at Kondyor (Field trip ? 2). Dear 12 IPS delegates, today is the last day for the acceptance of abstracts. Please e-mail them to conveners! Dear participants of the Noril'sk field trip, please pay attention that the financial conditions and schedule of the excursion was slightly changed. Please download the Noril'sk excursion flyer for further information. New deadline for the abstract submission is the 20th of March 2014. Dear participants of the 12th International Platinum Symposium, please pay attention that we are finalizing the group for the Noril'sk field trip, before 8th of March. Who are planning to attend this field trip, please contact immediately Elena Anikina E-mail: RegistrationFee@igg.uran.ru and pay your registration fees for Simposium and Noril'sk field trip. Please be responsible for fast registration in this excursion. 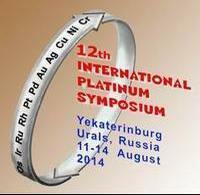 As Chairman of the Ural Branch of the Russian Academy of Sciences (RAS), I have the pleasure and honor to invite scientists and officials of mining companies to participate in the 12th International Platinum Symposium (12 IPS), which will be held for the first time in the Urals, where the world platinum industry has started its development. The Urals is not only the boundary separating the continents of Europe and Asia, but it is also a place that connects people from different continents, uniting them in the common Eurasian space. The unique geographical location of the Urals, its well-developed transportation infrastructure, and high level of social and economic development of the region make it attractive for investments and ambitious international projects, both in industry and science. The basis for this is the unique natural resources of the Urals exploited for over 300 years and still remaining the largest donor to the Russian industry. The progress of mining, metallurgy, engineering and electronic industry in the Urals stimulated the development of science and the emergence of large scientific and research centers, universities and other higher education institutions here. Currently Yekaterinburg is one of the largest research centers in Russia, with the Ural Branch of RAS that has several dozens of research institutes in different fields of research. 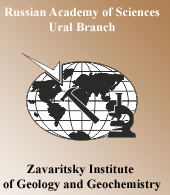 The Ural Branch includes six institutes which carry out research in the field of the Earth sciences. One of them, the Institute of Geology and Geochemistry, UB RAS, is the organizer of the 12th International Platinum Symposium. Suggested scientific sessions promise a stimulating scientific program of oral and poster presentations. A variety of field trips to the places, where many of us have never been before, also promise to attract many participants. I do anticipate that the time spent in the Urals and in Yekaterinburg will be for most of you the period of new scientific contacts, ideas and plans for the future. I would like to thank the organizers of the 12th IPS for their work and look forward to meeting you in Yekaterinburg. 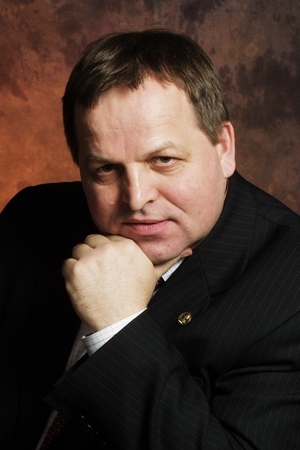 As Rector of the Ural Federal University named after the first President of Russia Boris N. Yeltsin, I am pleased to welcome participants of the 12th International Platinum Symposium held on August 11th - 14th, 2014. This Symposium is a great event in the Scientific World and provides nice opportunities for discussing the most important problems concerning the platinum-group elements, their geology, mineralogy, geochemistry, exploration, mining and technical applications. The Ural Federal University and the local organizing committee hope to create a friendly working atmosphere for a wide exchange of innovative scientific ideas and new research projects for all attendees, and a learning experience for young scientists. The Urals has always been one of the most industrially developed regions of Russia. A lot of world-class ore deposits of different types are situated in the Urals. They are the base for the Ural metallurgical and engineering industry. The Ural Federal University teaches tens of thousands of students each year, and after graduation most of them become leaders in this business. For the participants of the 12th International Platinum Symposium it will be interesting to learn that at the beginning of the XIX century the Urals became the biggest world producer of platinum and kept this position for more than 100 years. The first platinum placers were discovered in 1824 in the Central Urals and some of them are still exploited. The unique placers and small but famous ore platinum deposits are related to the so-called Ural Platinum Belt, the largest chain of mafic-ultramafic massifs that are situated in the Central and Northern Urals. You will get an opportunity to visit some massifs, deposits and enterprises and to touch upon the real history of the Ural metallurgical and platinum industry development. We hope that you will enjoy your trip to the Urals and your stay in our city and the University, and traveling in the Urals. Sponsore of the Session 6 "PGE and Au through experiments" and the Session 7 "New advances in the understanding of PGE mineralogy from magmatic to supergene environments"
"Continental construction in Central Asia"
Society for Geology Applied to Mineral Deposits will sponsor the Session № 6 "PGE and Au through experiments" and the Session № 7 "New advances in the understanding of PGE mineralogy from magmatic to supergene environments"
10 January 2014Abstract-submission available via website. Registration opens. Field trip registration must be made at the time of registration, and places on field trips will be allocated on a first-paid basis. Please be responsible for early symposium and field trip registration. The lists of the field trip participants will be posted on the Symposium website. If a trip is cancelled by the 12th IPS organizing committee, all fees will be refunded. Field trip registrations cancelled after 25 April 2014 will be refunded only if the minimum number of participants has been exceeded. Organizations may send alternative registrants to the meeting, workshop, or field trip(s) if the original registrant is unable to attend due to unforeseen circumstances. However, any changes must be approved by the 12th IPS organizing committee. Notification of abstract acceptance or rejection. Preliminary program. Deadline for early bird registration. Start for standard registration (Only participate in Symposium without abstracts and not to be included in program. Participate in workshop and excursions if they are available). Deadline for standard registration for foreign participants. Last day to receive a full refund of registration (minus bank commission). Last day to receive partial refund for cancellation. Deadline for standard registration for Russian participants. Session 1. Magma dynamics, cumulates and ore genesis. Session focus. Magmatic ore deposits produced by mafic-ultramafic magmatism (e.g. massive sulphide bodies, chromitite and Fe-Ti oxide layers, platinum group element-rich horizons) are igneous cumulate rocks that are generated by processes of magma differentiation, crystallization and solidification in crustal chambers. Therefore a key to understanding the origin of these deposits and consequently to developing a better strategy for their exploration is the deep knowledge of physico-chemical processes that govern magma evolution in crustal chambers and conduits. This session will emphasize the physical and fluid dynamic aspects of igneous petrology that bear on three major ore-related questions: where are ore deposits located? how did they get there? and how were they produced? The following fundamental aspects of magmatic processes will be addressed by this session: the relative importance of in situ crystallization versus crystal settling in evolving magma chambers and the origin of layering; the role of thermal and compositional convection in magma differentiation; the effects of compaction and post-cumulus melt migration within the cumulate pile on compositional profiles of magmatic bodies; the interactions between resident melt in the chamber and inflowing magma during chamber replenishment events; and the fluid dynamics and emplacement mechanisms of magmas, crystal slurries and emulsions. This session welcomes field, textural, mineralogical, geochemical, isotopic, experimental and numerical examination of igneous intrusions that provide us with new ideas on how magma chambers and conduits work to produce magmatic ore deposits. Session 2. PGE mineralization in mafic-ultramafic intrusions of Russia: geology and petrogenesis. The session will focus on PGE mineralized mafic to ultramafic intrusive complexes of Russia. We invite presentations that provide information on their geology, petrology, mineralogy, and geochemistry and that help to constrain the petrogenesis of the intrusions and their different styles of PGE mineralization. Contributions dealing with sulfide and chromite transport in the parental magmas, and percolation of sulfides and volatiles through the cumulate pile are particularly welcome, as are talks and posters that have implications for exploration targeting, using a variety of techniques and vectors. Session 3. PGE-Cu-Ni sulphide-bearing ultramafic-mafic intrusions of the Noril'sk Province: insights into ore genesis and exploration. Despite the long-term study of the ‘Noril’sk-type’ intrusions (e.g., Noril`sk-1, Talnakh and Kharaelakh), they remain a subject of ongoing debate related to their origin. A broad range of different or contradictory ideas for the formation of ore-bearing ultramafic-mafic intrusions in the Noril’sk region has been proposed. These include (a) differentiation of a single magma, (b) emplacement of multiple magmas with distinct compositions, (c) volcanic feeder systems, (d) a crust-mantle interaction model, (e) assimilation and (f) metasomatic models. A common assumption in these models is that the intrusions are coeval with the 250 Ma Siberian flood basalts, which erupted over a period of ~1 Ma or less, despite the fact that the age range of the intrusions is considerably larger. We invite contributions that use mineralogy, petrology, geochemistry, geochronology and structural controls to improve our understanding on the origin of ultramafic-mafic intrusions with different degrees of PGE-Cu-Ni sulphide mineralisation (i.e., economic, subeconomic and non-economic) in the Polar Siberia. New isotope-geochemical data that can be used for the exploration of PGE-Cu-Ni sulphide deposits are particularly welcome. Session 4. Models and exploration methods for magmatic Ni-Cu-PGE sulphide and PGE-oxide deposits from around the World. The session is intended to cover how magmatic platinum-group element (PGE) deposits form and how to use this information to explore for them. The concentrations of PGE in ore are generally only at the g/tonne level and thus the fact that the rocks are enriched in PGE is not evident in hand specimen. Furthermore most PGE are not readily soluble and thus there is no halo around ore bodies. Therefore exploration for PGE deposits depends heavily on a combination of lithogeochemical sampling and searching for minerals such as Ni-Cu sulphides and oxides (in particular chromite) that are present in many PGE deposits. Consequently how Ni-Cu sulphide and oxide deposits form and why some contain platinum-group elements and some do not is also of interest in studying how PGE deposits. Papers describing models for the formation of and exploration techniques for the deposits are welcome. Session 5. Ophiolites and Ural-Alaskan-type intrusions: traditional and innovative looks on the PGM formation. The session will focus on the PGE enrichment and platinum-group minerals formation in chromitites and ultramafites of ophiolite complexes and Ural-Alaskan-type intrusions. Potential topics include: 1) Chromite and PGM formation in ophiolite and Ural-Alaskan intrusions – why do the huge chromite deposits in ophiolites contain relatively low concentrations of PGEs relative to the Pt-rich chromitites from Ural-Alaskan intrusions. 2) Geological, mineralogical, geochemical and experimental studies on the association between chromite and PGMs. 3) The role of high- and low-temperature fluids in the formation and distribution of PGEs in chromitites and ultramafic rocks. 4) The genesis of unusual sulfide-rich PGE mineralization in Ural-Alaskan intrusions. 5) PGMs are from source to placer - only accumulation or transformation? The unique PGMs placers of the World. Session 6. PGE and Au through experiments (the session will be sponsored by SGA). The session will focus on experimental studies of PGE and Au solubility in sulphides and silicate melts, PGE and Au partitioning between phases as well as PGE minerals stability and composition at T-P range from magmatic to hydrothermal conditions. Also contributions focused of phase equilibria in PGE-Au systems, and thermodynamic properties of PGE minerals and phases are welcomed. Session 7. New advances in the understanding of PGE mineralogy from magmatic to supergene environments (the session will be sponsored by SGA). The platinum group elements (PGE) form specific phases, the so called platinum group minerals (PGM) or they occur in solid solution, as trace and ultra-trace elements, mainly in sulfide and oxides. With few exceptions, the PGM form minute inclusions, generally less than 50 microns in size. Thus, their identification and characterization is a difficult target. It is also not easy to determine the amount of PGE occurring in solid solution because of their low concentration. Recently, the development of advanced methodology and scientific methods allow us to better characterize the PGM as well as to detect the PGE at very low concentration at the scale of ppm or ppb using in-situ techniques. Contributions that describe the latest in analytical methods and applications to PGE mineralogical study, including LA-ICPMS, PIXE, XRD, EPMA, SEM are welcome. Abstracts discussing other techniques are also strongly encouraged. This session intends to highlight various aspects of PGE research in geological environments that are not covered by topics of the other sessions. The session also welcomes contributions with focus on PGE and PGM related to osmium isotopes, analytical methods, mineral processing, including quality and process control, hydrometallurgical processing, refining and product developments. Proposals for workshops and short courses must be discussed in advance with the local Organizing Committee. Registration must be done on-line using the registration facilities of the 12th IPS website at http://12ips.uran.ru Registration must be accompanied by payment. Payments must be made directly into Symposium bank account. All costs are including Volume-added tax - 18%. One day registration will not be available. The Symposium registration fee includes the Ice Breaker Party, access to all technical (oral and poster) sessions, all meeting materials including the final program and conference abstract volume in printed and digital format, morning and afternoon coffee breaks, lunches, Symposium Dinner, and Social events during the Symposium. The registration fee for an Accompanying person includes: the Ice Breaker Party, Symposium Dinner, Social events during the Symposium. Full payment for participating in Symposium, workshop and field trips must be made at the time of registration. Please be responsible for early Symposium and Field Trip registration. This will help to timely organize an Official Letter of Invitation, which will assist your application to get a visa to enter Russia. PROCEDURE OF PAYMENT Payments must be made by bank transfer made out in Euro into the account of the Institute of Geology and Geochemistry of the Ural Branch of the Russian Academy of Sciences. It is preferable that the payment is done by the prospective participant(s) of the Symposium rather than by the Institution where the participant(s) is(are) employed. According to the State Law the Russian Scientific Institutes have compulsory formalities for arranging the Agreements related to the Registration Fees and Payments. Therefore, to be able to receive the registration fees/payments the following scheme is suggested. The registration fees to attend the Symposium, field trips and a two-day workshop (if applicable) are paid in accordance with paragraph 2.1 of the relevant Agreement by bank transfer into the account of the IGG UB RAS. All agreements are displayed as public offers on the 12 IPS website for information purpose only. For details of payment for excursion No. 7 please ask the field trip leader Evgeny Kislov, E-mail: evg-kislov@yandex.ru. After receipt of your payment copies of the Agreements related to your Registration Fee(s) and Payment(s) will be emailed to you. Upon an arrival for the Symposium each participant will receive their Agreement(s) in the original. The table below lists the field trips that are planned under umbrella of the 12 IPS prior and after the Symposium. Bookings for field trips at 12 IPS will be allocated on a “first-come, first-served” basis. The following table with pdf flyers attached provide available information for these field trips. If there are urgent questions about a field trip that are not covered here, please contact the advertised organizers of the trip. The excursion group is full. Registration is finished! 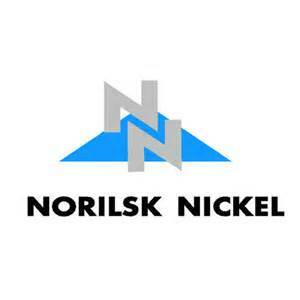 August 1-8, 2014 Open Joint Stock Company MMC "Norilsk Nickel", Zapolyarny Branch (Polar Branch). 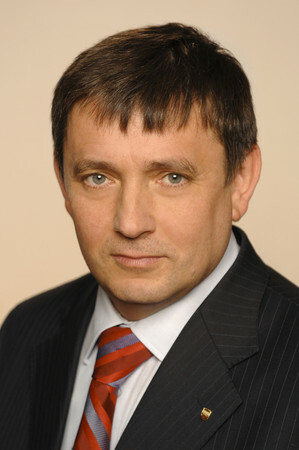 Evgeny Parievsky - responsible person. Please be aware that all participants of the Field Trips № 1, 2, 3 and 4 have to provide a copy of their passport details directly to organizers of respective field trips. The organizers of the Field Trips are responsible for arranging additional documents that will enable participants to visit Noril'sk (Field Trip 1), Khabarovsk (Field Trip 2), Salekhard-Labytnangi (Field Trip 3) and Ufa (Field Trip 4). Group of Companies Precious Metals Of Urals (PMU) is a fast developing professional partnership of Ural companies. We offer an extensive portfolio of services and a wide range of products made of precious metals (platinum group metals, gold and silver) which are used in a vast number of industries: automotive, glassmaking, electrical, petrochemical, nitric, jewellery, medical, etc. Providing up-to-date services and hi-tech products manufactured both at our production facilities and at the other leading metal refining enterprises is our priority. Abstracts will be accepted only from authors who attend the conference and present their work in either poster or oral form. Submission of an abstract implies a commitment to attend the meeting, and the abstracts of authors who do not register for the meeting or who cancel their registration prior to the meeting will not be included in the abstract volume. The deadline for abstract submissions is March 20, 2014. The deadline for early registration for presenters is April 20, 2014. -please check abstracts carefully before submission, to make sure authors do not need to send multiple corrected versions. The oral sessions will be conducted in English. No translation facilities will be provided. Dear guests, you may choose another Hotels in Yekaterinburg using Internet facilities if you want, but the special price for the 12 IPS delegates doesn't spread at these Hotels. The organizers of the very successful 11th IPS are pleased to make five travel awards available to current MSc students, current PhD students, or those within one year of obtaining PhD who wish to attend the 12 IPS to present a talk or poster. Applications, including 1) a justification of how the student will benefit from attending the meeting, 2) a justification for the financial support that includes a summary of all other available funding, and 3) a message from the research supervisor confirming their enrolment/graduation status and financial need, should be sent by e-mail to Prof. Michael Lesher (mlesher@laurentian.ca). Awards will be up to CDN$1250 each and will be given to the students at the 12 IPS. The Society for Geology Applied to Mineral Deposits (SGA) offers 8 travel grants (each of 250 Euro) to SGA students to participate at the 12th International Platinum Symposium. The award of the student grant requires the acceptance of an abstract for oral or poster presentation, and will be based on financial need and scientific quality of the submitted presentation. The application form should be sent to Anna Vymazalova (anna.vymazalova@geology.cz) by March 10, 2014. 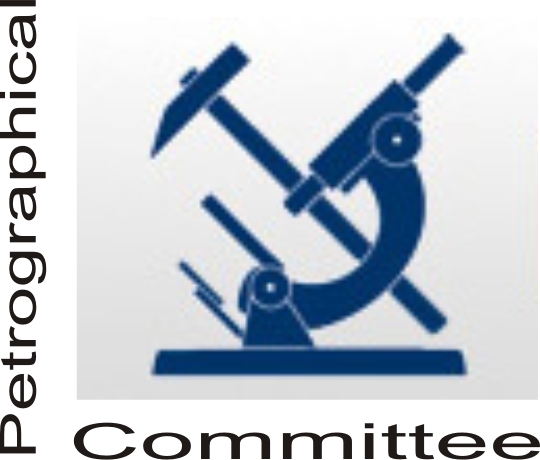 Society of Economic Geologists offers several travel grants (each of 250-500 USD) for students to participate at the 12th International Platinum Symposium. Download SEG student grant application form for participating to12th International Platinum Symposium. All abstracts will be published as Abstract Volume (hard copy) and in digital format (PDF) on the 12 IPS website. A CD with abstracts will be provided to all participants at the meeting. The abstracts will be downloadable from the 12th IPS website as PDFs during and after the meeting. The field trip guidebooks will be provided by the field trip leaders. Thematic issue of Mineralium Deposita on “PGE mineralization in mafic-ultramafic intrusions of Russia: geology and petrogenesis” being edited by Wolfgang Maier (MaierW@cardiff.ac.uk) - primary contact and Alexey Ariskin (ariskin@rambler.ru). Thematic issue of the Geology of Ore Deposits “Models and exploration methods for magmatic Ni-Cu-PGE sulphide and PGE-oxide deposits from around the World” being edited by Sarah-Jane Barnes (sjbarnes@uqac.ca) and Marina Yudovskaya (maiya@igem.ru). The issue aims to embrace papers which can be submitted in Russian or in English and will be published in two languages including Springer publication on-line. The journal thematic issues will include both invited papers and papers volunteered by 12 IPS participants. In order to ensure timely publication following the meeting, manuscripts must be submitted at the meeting. Participants interested in contributing to the special issues should contact the Editors of the issues. Only several countries have visa-free arrangements for entering Russia, so all participants should check with their Russian Embassy as soon as possible to determine which documents will be required. Please note that in some cases the Russian Federation has special agreements with other countries that provide easier way for scientists, sportsmen, and artists to obtain a visa. The Organizing Committee will be pleased to arrange an official invitation as soon as your payment is received. Participants who require an official letter of invitation in order to obtain a visa, to raise travel funds or for administrative purposes should apply for this invitation as soon as possible, but by May 20th, 2014 at the very latest. Requests received later will not be processed by local authorities and the embassies. It should be understood that the organizers can only issue an invitation which includes the time of the Symposium and associated pre-symposium and post-symposium field trips, a two-day pre-symposium workshop plus two days directly before and after the conference, respectively. Please be aware that all participants of the Field Trips № 1, 2, 3 and 4 have to additionally provide a copy of their passport details directly to organizers of respective field trips. The organizers of these Field Trips are responsible for arranging additional documents that will enable participants to visit Noril'sk (Field Trip 1), Khabarovsk (Field Trip 2), Salekhard-Labytnangi (Field Trip 3), and Ufa (Field Trip 4). The 12th International Platinum Symposium will be hosted in the Institute of Humanities and Arts of the Boris Yeltsin Ural Federal University. 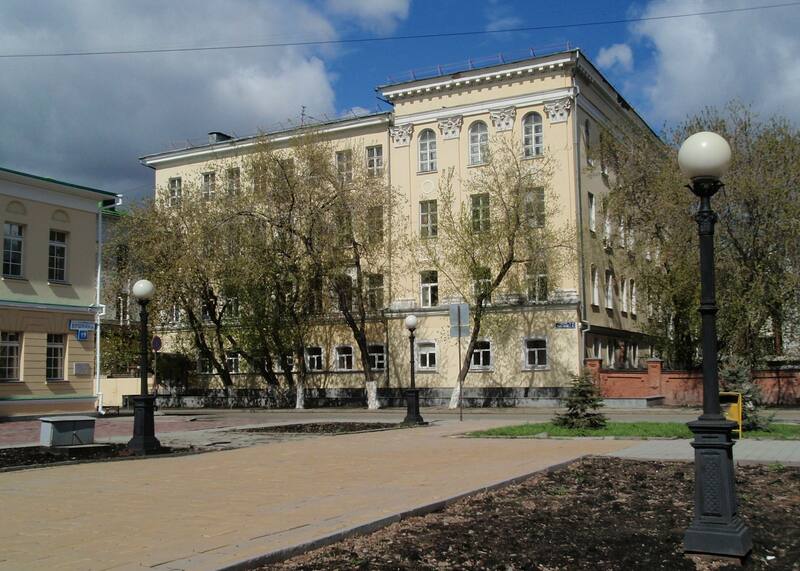 The Ural Federal University is the largest university in the Urals, with an enrolment of about 50 000 students. It consists of several Institutes and Research Centers, covering the most important fields in Engineering, Economic, and Social Sciences. The main building of the Institute of Humanities and Arts, where the 12th IPS will be held, was constructed in the neo-classical style in 1957 on the central Lenin Avenue of Yekaterinburg opposite the Opera House. It has a conference hall with 300 seats and modern multimedia equipment. It is often used for academic ceremonies, such as awarding of academic prizes and awards. The University building also has many smaller lecture halls of various sizes and it is therefore often used for workshops and conferences. 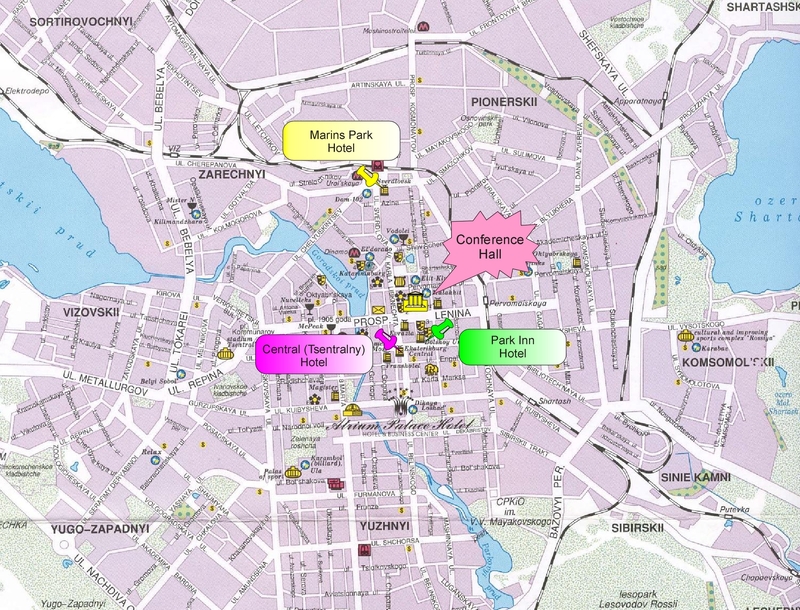 There are several hotels, restaurants, and cafes within five-minute walk distance, and the downtown and historical center of Yekaterinburg is less than 10 minutes walking distance. The official language of the Symposium, including a workshop and field trip excursions will be English, and regrettably no translation will be provided. Yekaterinburg International Airport “Koltsovo” is served by direct international flights from Minsk, Rome, Sofia, Frankfurt, Munich, Prague, Barcelona, Vienna, Dubai, Tel Aviv, Istanbul, Tashkent, and Helsinki, and numerous transfer and seasonal charter flights to Turkey, Spain, and other countries. There are daily flights to Moscow's Domodedovo Airport by Ural Airlines, S7, and Transaero, to Moscow’s Sheremetyevo airport by Aeroflot, and to Moscow’s Vnukovo airport by Skyexpress and Vladivostock Air. There are also connections to Saint Petersburg with Rossiya and Ural Airlines companies. Ural Airlines also has a wide number of domestic flights all over Russia. Information about flights, tickets, and service can be found on the Koltsovo airport website http://www.koltsovo.ru/en/ or using the internet services of the international aircraft companies. The Trans-Siberian Railway, connecting European Cities-Moscow-Saint Petersburg-Samara-Perm-Chelyabinsk-Novosibirsk-Irkutsk-Khabarovsk-Vladivostok-Chinese Cities goes through Yekaterinburg. The length of this line from Moscow to Vladivostok is close to 9300 km and it is the longest railway in the world. The Yekaterinburg Main Railway Station comprises three building of different ages. The oldest building, constructed in 1878, is now used as a Railway Museum. The youngest building was constructed in 1912 and re-constructed in 1939, and is now used as the Main Railway Station. There are daily trains to Moscow and many other cities and towns in Russia from the central Railway station. You may book tickets using the Internet site of the Russian Railway Company http://eng.rzd.ru/statice/public/. The booking offices at the Yekaterinburg Central Station are situated on the ground floor. There is an extensive network of local trains serving the surrounding region. During the first half of August the weather in Yekaterinburg and the rest of the Central Urals is quite comfortable. Average daytime temperatures are normally between 14 and 20°C, and average nighttime temperatures are normally between 10 and 15°C. However, the weather may be cloudy, rainy, and windy, so participants should bring raincoats and/or umbrellas. The climate in the geological excursion areas is dependent on local conditions and you should to contact the excursions leaders for additional information. There are a many State and Private Hospitals in Yekaterinburg where you can obtain high quality medical service. We strongly recommend that all participants of Symposium obtain travel medical insurance to cover accidents, illness, or hospitalization during your stay in Yekaterinburg or during the geological excursions. Vaccinations against encephalitis are strongly recommended for Visitors planning to take part in the geological excursions. The peak period of ticks in the forest and bushes is spring and early summer, but some of the ticks may not realize that it is late summer! Registration for the Symposium implies that delegates agree that neither the Local Organizing Committee nor the International Advisory Board and Program Committee assume any liability or responsibility for any losses, accidents, or damage to the participant’s private property. Delegates must make their own arrangements for medical, travel, and personal insurance. The Russian Ruble is the local currency. Foreign exchange can be done in airport and in most banks in Yekaterinburg. A passport will be required for all transactions. All major world-wide credit cards (e.g., AMEX, Visa, MasterCard) are accepted throughout Russia and Yekaterinburg, as well as Traveler's cheques. You may use them in large Shopping Centers and the numerous restaurants and cafes in the central part of town, but not all small shops have the ability to accept them. Automatic teller machines provided by different banking systems are also available in Yekaterinburg. The opening hours for most shops and Shopping Centers is 09:00 – 22:00, but there are many 24-hours shops in town. The voltage throughout Russia is 220V/50Hz. Russia uses standard European two-pin plugs. If you bring electronic devices, make sure that you bring appropriate voltage converters and/or adapters. We don’t recommend drinking the tap water in the hotels and other places. Bottled water is widely available. Smoking is prohibited in most public places (excluding streets) and is restricted to specific areas. Restaurants and cafes usually have smoking and non-smoking rooms and areas. Yekaterinburg is a large city with a population over 1.5 million habitants. As in other large cities you have to be careful with your documents, money, and other valuables. Wireless internet is available at almost all hotels, but you have to verify this with the hotel before booking. The 12th IPS will provide access to several computers in the technical room of Symposium area, but if you plan to do much computing you have to bring your own personal notebook. Limited space is available for exhibits at the conference venue. Please contact Dasha Kiseleva from the local organizing committee (kiseleva@igg.uran.ru) for more information regarding reservation and prices. Sponsorship is available in different categories. Please contact Dasha Kiseleva from the local Organizing committee (kiseleva@igg.uran.ru) for details.